I had someone hit our website the other day asking for "Cheap Salesforce Training Options." Hmmm, that’s a curious request. After a quick email exchange I got a better handle on what "RJ" was looking for – training resources to become a Certified Salesforce Administrator without shelling out the $3,750 for the 5-day course from Salesforce.com. Let me start by saying that 5-day class offered from Salesforce is worth every penny (I should know – I used to teach that class for Salesforce back in 2005 / 2006). It’s the best shotgun blast of core Salesforce administration functions you can cover in a week, and in my opinion, the best prep for the Certified Administrator Exam. 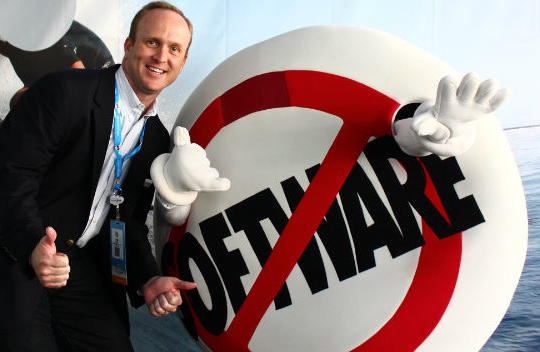 If you are lucky enough to go to Dreamforce, you might consider taking a training class at the conference. Last year they were 2-day sessions that were about half the cost of the 5-day class as well as certification exams at $99 (half price). What if you can’t personally afford to splurge $3,750 for the 5-day class and you can’t convince your employer to foot the bill? OK, let’s talk about what you can get for FREE. Check to see if your company has purchased Premier Support from Salesforce. That gets you access to a comprehensive online training library. If so, consider yourself lucky and go to town! 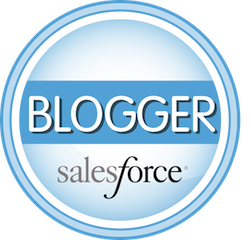 Check to see if there is a Salesforce User Group in your area. Many User Groups have started to form exam study groups to help members get through the certification content. For example, here in Dallas TX there is a Salesforce study group on MeetUp to help new developers looking to pass the DEV 401 and DEV 501 exam. Don’t be afraid to go to a User Group and flat-out ask for some help. Bring your laptop and see if someone will take 10 minutes to walk you through something you don’t understand. Remember, when you attend a User Group meeting you’re in a room full of Salesforce enthusiasts that want you to succeed! If you are an Administrator today, it’s quite possible that you’re working in a Salesforce org that’s well established. Your role may be limited to simple maintenance, new report requests and end-user support. If that is the case you’re not getting opportunities to try out and learn new cool things in Salesforce. Nothing beats hands on experience. You want to understand workflow rules better – build a dozen of them. But wait, what if your company uses Professional Edition which doesn’t have features like custom profiles, workflow rules and record types? If any of the above applies, my advice is to get a free Developer Account, which has Enterprise Edition functionality, and get your hands dirty. Has someone else in your company taken the 5-day Admin class? See if you can borrow their book and try out the exercises in a free Developer Account (see #4). Though a lot of the environment of the Salesforce org in the 5-day training class is pre-configured (and as a student you finish out the configuration), you can at least get some good hands-on scenarios and problems to solve from the book. This one probably would not have made the list a couple of years ago, but I’ve seen a lot of good content on YouTube recently. Start by searching directly from Salesforce.com’s YouTube Channel. There are dozens of videos from Dreamforce breakout sessions that deep dive into some pretty interesting topics. The crew at Salesforce has been on a roll lately developing some REALLY good videos on topics such as configuring security, how to create a workflow rule, how to use Flow, and how the Outlook Connector works. We’ve also created a video blog series on YouTube called ShellBlack Whiteboard that covers core Salesforce content and concepts. As of August 2014, we have nearly three hours of videos covering topics such as Workflow, Validation, and Lead Assignment Rules; Setting up Security to control Record Access; Products, Price Books and Product Scheduling; and of course Campaign, Lead, Account, and Opportunity management. Any serious preparation for the exam should start with the Study Guide. It will tell you what’s covered on the exam, the weighting of the exam content, and what’s needed to pass. Be a smart test taker – don’t spend time studying areas your familiar with or waste a lot of time on an obscure topic that may only receive one question on the exam. Use the Study Guide to develop your training roadmap to be sure what your studying aligns with the exam. My last piece of advice is to scour the web. ShellBlack.com has a rather extensive list of "How To" blog posts that cover a lot of the content of the Administrator Exam. There are other super web sites that go into great detail on how to configure core areas of Salesforce.com – you just need to spend and afternoon with Google and see what’s out there.